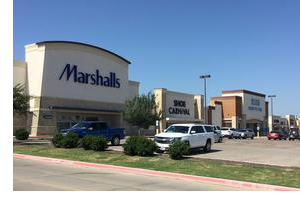 ​ DALLAS-FORT WORTH – Albanese Cormier Holdings purchased the 105,605-sf Renaissance Square shopping center located at 2700 Renaissance Dr. in Fort Worth. The 20.67-acre property, built in 2014, was 98.5 percent occupied at the time of its purchase. MESQUITE: YA Live Oak Landholdings LLC sold 16.49 acres at 2749 I-30 to T&T Realty Corp.
CARROLLTON: Hobby products company MMD Holdings LLC d.b.a. Squadron has renewed its lease for 50,979 sf at 1115 Crowley Dr.
​Check out more DFW Real Estate News here​.